This Nativity was hand-carved from half of a calabash gourd. The scene was made by Daniel in Georgetown, Guyana. He carves on a sidewalk while sitting in the shade of a downtown building. The brown color of the Holy Family is the gourd’s natural shell color, while the lighter background is the natural color of the inside of the gourd. 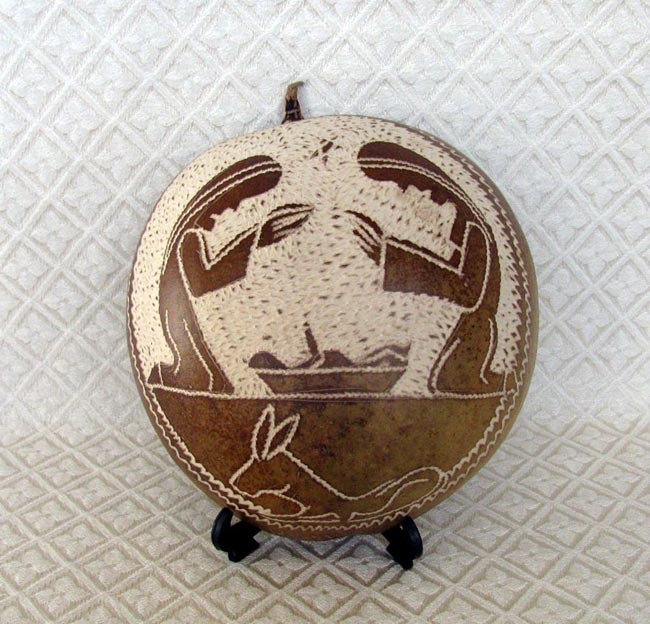 The gourd measures 6 inches in diameter.